On 25 June, 1950, the invasion of South Korea by the Communist North launched one of the bloodiest conflicts of the last century. The seemingly limitless power of the Chinese-backed North was thrown against the ferocious firepower of the UN-backed South in a war that can be seen today as the stark prelude to Vietnam. 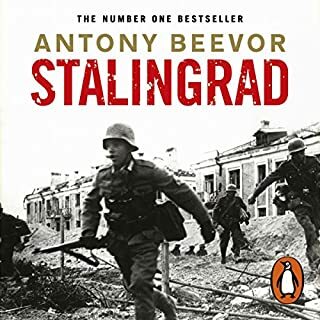 The complete magisterial history of the greatest and most terrible event in history, from one of the finest historians of the Second World War. This shows the impact of war upon hundreds of millions of people around the world - soldiers, sailors and airmen; housewives, farm workers and children. 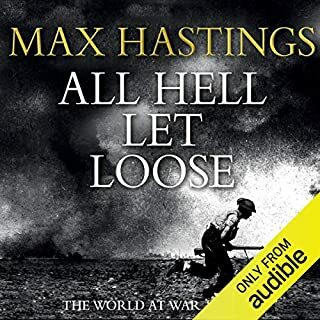 Reflecting Max Hastings's 35 years of research on World War II, All Hell Let Loose describes the course of events, but focuses chiefly upon human experience. Almost 75 years have passed since D-Day, the day of the greatest seaborne invasion in history. The outcome of the Second World War hung in the balance on that chill June morning. If Allied forces succeeded in gaining a foothold in northern France, the road to victory would be open. But if the Allies could be driven back into the sea, the invasion would be stalled for years, perhaps forever. 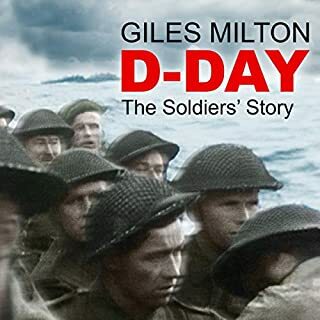 Giles Milton's bold new history narrates the day's events through the tales of survivors from all sides: the teenage Allied conscript, the crack German defender, the French resistance fighter. 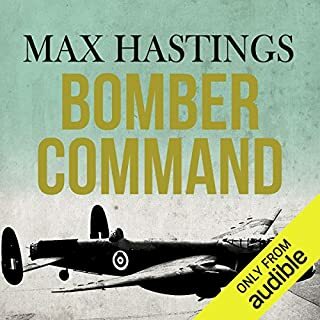 With an introduction read by Max Hastings. 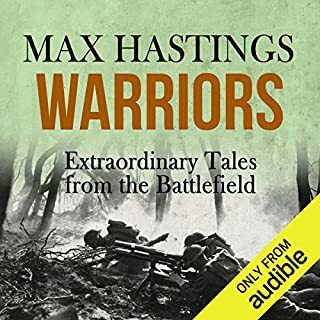 An exhilarating and uplifting account of the lives of 16 ‘warriors’ from the last three centuries, hand-picked for their bravery or extraordinary military experience by the eminent military historian, author and ex-editor of the Daily Telegraph, Sir Max Hastings. 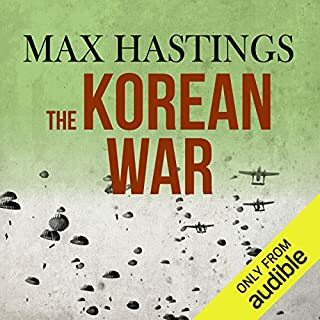 Over the course of 40 years of writing about war, Max Hastings has grown fascinated by outstanding deeds of derring-do on the battlefield (land, sea, or air) - and by their practitioners. The Falklands War was one of the strangest in British history - 28,000 men sent to fight for a tiny relic of empire 8,000 miles from home. At the time, many Britons saw it as a tragic absurdity, but the British victory confirmed the quality of British arms and boosted the political fortunes of the Conservative government. But it left a chequered aftermath; it was of no wider significance for British interests and taught no lessons. It has since been overshadowed by the two Gulf Wars, however, its political ramifications cannot be overestimated. Max Hastings’ and Simon Jenkins’ account of the conflict is a modern classic of war reportage and the definitive book on the war. Republished as part of the Pan Military Classics series, The Battle for the Falklands is a vivid chronicle of a call to arms and a thoughtful and informed analysis of an astonishing chapter in the history of our times. Max Hastings, author of over 20 books, has been editor of the Daily Telegraph and the Evening Standard. He has won many awards for his journalism, particularly his work in the south Atlantic in 1982. Max Hastings writing makes the English language bloom with the peculiarity typical of the British. Laden with humor and wit, it conveys the story of the Falkland war in great detail. The chosen narrator is the perfect match and makes the entire experience a treat. I recommend it wholeheartedly. This is the most comprehensive look at the war. While the battle descriptions are good, the most interesting is the political dimension to this conflict. In an even handed manner the flaws and miscalculations of Britain, Argentina, and the United States are shown. An excellent study in how pride and hubris can lead to a conflict, that only the bravery and determination of the soldiers, sailors, and air crew can get their political masters out of. 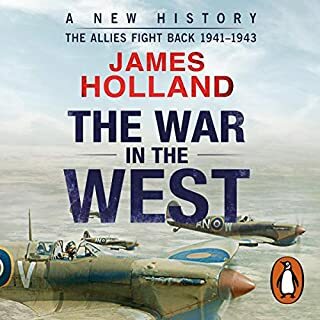 Hastings and Jenkins have provided a very detailed account of what happened before the conflict and the failure of the major powers to settle a very simple question by diplomatic means. Efforts by Great Briton, the US and Argentina to resolve the question of who should own this tiny piece of real estate went back many years but after numerous meetings by various high powered teams of negotiators agreement could not be obtained. Argentina then took the first step by sending troops to occupy the islands, effectively challenging Great Briton to do something (or nothing as they assumed) about it. There followed the decision to take back the Islands by force and this forms the major part of the story. What other book might you compare Battle for the Falklands to and why? Have you listened to any of Cameron Stewart’s other performances before? How does this one compare? Have not heard Cameron Stewart before. His delivery was excellent including pronunciations of the Spanish and other foreign names and places. This book comes highly recommended. 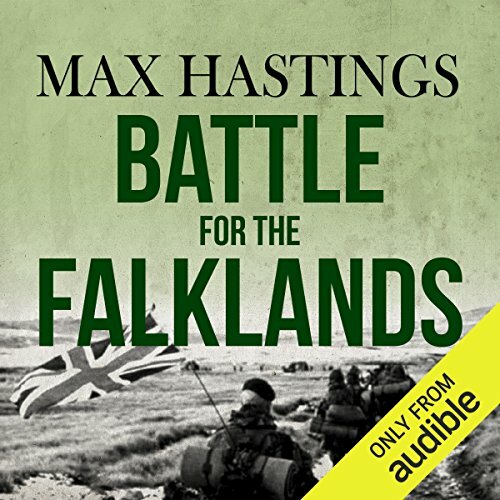 Hastings does make an effort to present the Falklands crisis in context of Argentine history and politics, but still rather one-sided British perspective. Other wise a very good history of the war. A useful narrative of the Falklands War from beginning to end. I think the coverage of the events leading to the war is excellent. The war itself is well documented, but perhaps there would be more details of some of the major battles in places. Well narrated. Definitely worth reading if you have an interest in the Falklands War. Max Hastings, regardless of the subject, is always a good read! He's indepth with the facts but also tells the personal side. Simply the best and most complete blow-by-blow of the Falklands campaign from the British persepective. Loved the book and the amount of detail it went into the Falkland War, especially the pre-war situation in both Britain and Argentina. So British it hurts sometimes. The style, focus, and context of the book are all unashamedly British. The authors (and narrator) thankfully don't try to hide that, but I had hoped for something a little more unbiased. Part of that may be because of the long term fallout from the topic and that much of the primary material is from the British side of things so it's somewhat forgivable. That being said, the content is excellent, and the authors do go out of their way to criticize and compliment both sides. And the level of detail is in just the right spot for my tastes. It can give an excellent taste of what both the people on the ground were thinking as well as a higher overview. I definitely learned a lot about a fight I'd only had vague references to before. 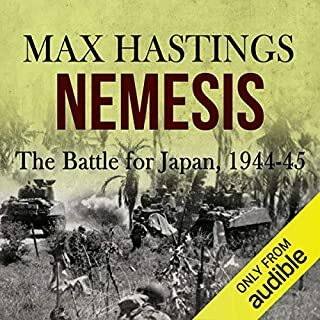 My first read of a Max Hastings book was the excellent "Nemesis: The Battle for Japan, 1944-45" and so I thought I'd give his treatment of the Falklands war a read too. 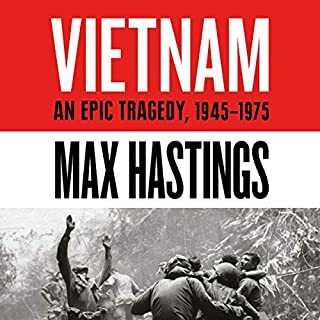 Hastings has a superb writing style that takes a holistic view of the conflict which is sprinkled with quotes, diary entries and observations from the various participants which are used and woven together to provide a great work of historical fact and analysis. I found that I got a lesser personal perspective on the trials and tribulations of the conflict by those directly involved than in the aforementioned book. In "Nemesis", I got a deeper feeling of the combatants and civilians alike during the events depicted than I did from this book. To me, this work seemed to lack the gritty realism of prolonged first hand accounts which I had rather hoped for. 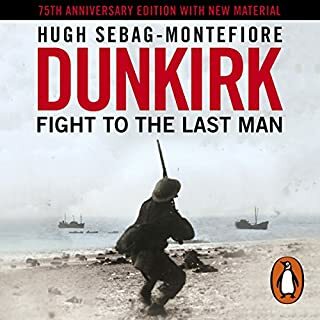 That is not to say that this is not a well written and comprehensive book as it clearly is but it does not provide quite the raw flavour of combat that perhaps a memoir of those on the front lines would. From that perspective, this was not as satisfying a read as I'd hoped but again, that is more my fault than anything the author has done. In future I will seek out those books written by those directly involved for something a bit more visceral and which puts you in the shoes of those that fought. One review, I think, compared this to the Eugene Sledge memoir "With The Old breed" which I have to disagree with wholeheartedly. Thus far, I still rate Sledge's personal accounts of his war time experiences as the best I've read to date on the sheer horror and misery of total war. 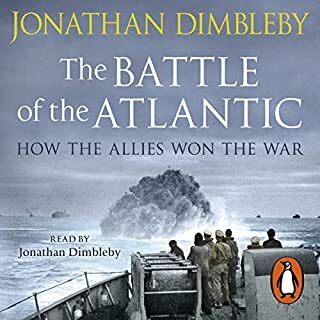 For those who are looking to read a book that is a broad canvas of the history of the Falklands war along with the back story of the ownership of the islands then this is perfect as a comprehensive treatment of that conflict. However, In its meticulous research, it also spends quite some time on the rather dry and dull background politics too which for me is uninteresting despite me understanding why the book had to include this aspect. Reading this will certainly provide detailed insight into the events of the Falklands conflict and is an excellent overall description of the events leading to an during the war but doesn't contain enough accounts of those that fought it. Perhaps I should clarify that last remark and say that it has many partial accounts but which are very limited and more brief quotes or anecdotes comprising just two or three sentences from an account here or there rather than more lengthy substance. Fantastically researched and complete but a little dry and reads at times like a government report. I remember how surprised I was by the invasion of the Falklands and so found the section of the book about the protracted history of the claims of sovereignty illuminating. 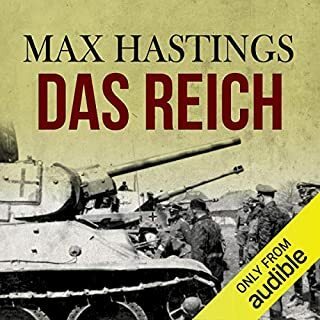 I chose the book on the strength of Max Hasting’s superb books about the First and Second World Wars and this one is similarly scholarly and engaging as he combines historical fact with the personal experiences of the people involved in the conflict. There are vivid descriptions of the the action that get over what it was like to be engaged in battle. 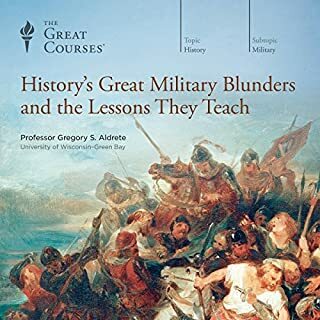 The author is unbiased in relating the triumphs and failures of both sides and the strengths and weaknesses of those in authority and the short-comings over supplies that undermined the effectiveness of the combatants. 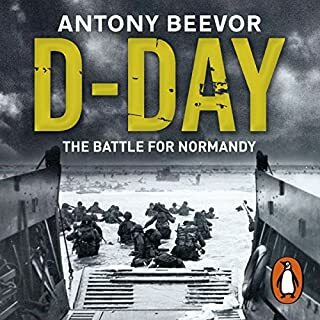 As with all books about wars I was left with a feeling of sadness that so many men were maimed or lost their lives over something that should have been negotiated but for megalomania, hubris or political expediency getting in the way, but also admiring the courage and forbearance of men in the face of terrifying situations and ghastly conditions. If you like this sort of stuff, you'll love this. Would you listen to Battle for the Falklands again? Why? Yes, because there is a lot of information to take in and I guess you can always over look stuff that you pick up the second time around. What was one of the most memorable moments of Battle for the Falklands? How the British armed forces overcame all the obstacles to achieve victory against the odds. Have you listened to any of Cameron Stewart’s other performances? How does this one compare? I don't think so, so can't compare. The odds are stacked against the task force, who have the nations hopes and pride resting with them. Will they be victorious against this unknown enemy, and at what cost? 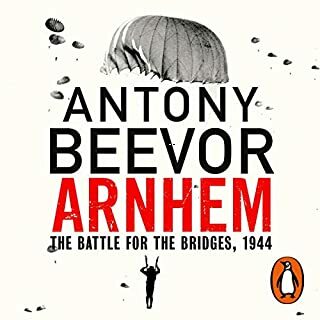 Awesome book, makes me what more and really gives an insight into the minds of the soldiers that fought for our nation. I've read a number of books on the subject, all were good but had a personal slant. Max Hastings gives a very truthful and balanced account with equally balanced analysis. The book is very comprehensive but flows well. 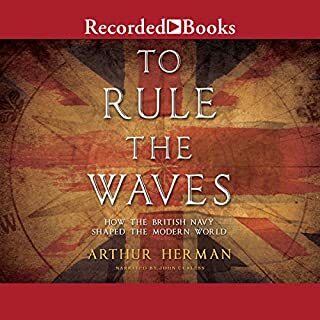 The initial chapters deal well with the history of the islands and the basis for territorial claims by different sides, a useful tool for setting the context. 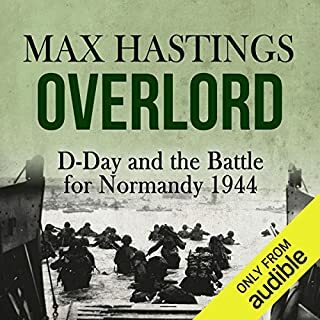 Overall it was gripping listen, a strong title within the Audible catalogue. A fascinating account that is well written and flows nicely as a result. A piece of history that I lived through but was too young to remember well. Superbly read. Highly recommended. A brilliantly detailed and balanced review of the conflict. 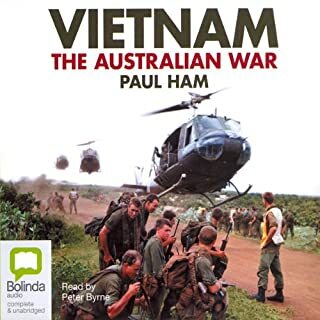 This is a very informative book and shows the war through the eyes of the service personnel on both sides of the conflict, and also provides accurate portrayals of the political ramblings from both sides of the conflict. A really brilliant book. Tells the whole story from soldiers on the ground to the political reasons behind the war. the fact the author was on the ground during the conflict really helps give an overall picture. if you are only going to read one book about the Falklands conflict this would be a good one. A very good account. My one criticism is that early on he is very critical about the RN's desire for "proper" large aircraft carriers, and he doesn't make the connection that these ships would have made a massive difference and saved many lives. Otherwise an excellent book and it makes an excellent audiobook. Not all books survive the conversion to audiobook but this one does.